Midnight is a neon-signstyle font with two “gauges,” Light and Bright. Works best when used in reverse against a dark background. The styles have a 2:3 ratio, as do the gauges of the neon “tubing,” making both fonts equally useful across a range of applications. 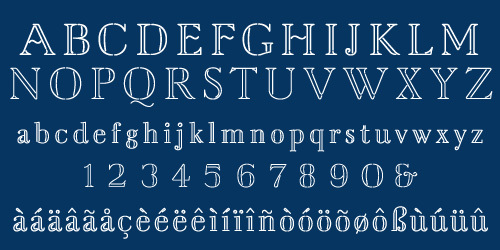 An elegant, stylish, wonderfully rendered display font. Comes with a complete character set. US$49.